No Account? Register Now! Forgot User ID / Password? Need Help Signing In? Contour TV Check out Contour, the hub of all your live TV, On Demand, streaming apps and more! Channel Packages Your favorite packages like NFL RedZone, MLB Extra Innings, Latino, Movies and more! On Demand Pay-per-view events, boxing, movies, shows and more! Internet equipment plays a critical role in the speed you experience. Learn about the different types of modems and routers to ensure you're experiencing the full potential of your Cox Internet speed. Plus, explore Cox's most advanced equipment, Panoramic WiFi, that delivers wall-to-wall fast speeds and eliminates dead zones. Your in-home Internet equipment keeps you connected to the people, places and things that matter most online. It’s important to make sure you have the right equipment for the fastest speed and best performance. Cox offers a variety of equipment types to suit your needs, such as Panoramic WiFi with fewer dead zones and increased speeds. When you rent or purchase a WiFi modem from Cox, our experts are there to help with hassle-free WiFi setup for your network. Rental of a WiFi Modem or a WiFi Internet & Telephone Modem includes ongoing in-home WiFi support via phone for free. Renters can also get replacement devices free of charge* if issues arise with device performance, eliminating the effort and cost of purchasing a new device. *May be dependent upon device warranty time period. Access to trained technicians from 8am EST until midnight, 7 days a week. Help connecting common WiFi devices to your home network. Ongoing troubleshooting for wireless network and WiFi-connected devices. Assistance with managing WiFi devices. Guidance in resetting network ID and password. If you are renting one of our WiFi modems, please call 855-766-9812 to get free in-home WiFi support. For information on premium, fee-based support, see Cox Complete CareSM. Older equipment simply can’t deliver the speeds multiple devices need. For customers with Cox Starter 10, Essential 30, Preferred, Premier or Ultimate packages, a DOCSIS 3.0 (D3) modem or higher is required to achieve the maximum speeds. For customers with Cox Gigablast (available in select markets), a DOCSIS 3.1 modem or higher is required to achieve the maximum speeds. D3 equipment provides enhanced online performance and supports faster speeds. Think of it like road traffic: Older D2 equipment is like traveling on a one lane road with a slower speed limit that can easily get congested. D3 equipment is like traveling on a multi-lane highway with faster speed limits, allowing much more traffic and a smoother flow. Consider upgrading your equipment to get the bandwidth you need to support faster Internet speeds to keep you connected. You may have noticed the names “Dual Band” and “Single Band” Routers, but what is the difference? Single Band routers use one signal (2.4 GHz) to broadcast your WiFi, while Dual Band routers use a second signal (5 GHz) to allow more devices to connect at once as well as reduce interference from other nearby electronics. Households with multiple devices connecting at once for gaming or video streaming should consider switching to a Dual Band router. If you have a Dual Band router, you will see the same network name twice, but one should end in "5GHz." Now that you can tell them apart, how do you know which one to use? The 2.4 GHz network works well with most devices and is good for low-bandwidth activities, like checking email and surfing the Web, when you are far away from your router. It's typically slower due to congestion caused by other household devices, like microwaves and garage doors, that use the same band. The 5 GHz network is less congested and therefore typically faster, so it's good for higher-bandwidth activities, like streaming shows and movies and gaming, when you are closer to your router. However, it covers a smaller area and may not work with older devices. Panoramic WiFi is a wall-to-wall fast Internet experience that's available on all Cox High Speed Internet plans with the rental of the Panoramic WiFi Modem, an all-in-one modem and wireless router. 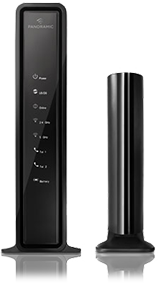 The Panoramic WiFi Modem utilizes advanced technology to support Cox's fastest speeds in every inch of your home. All Panoramic WiFi customers have access to 24/7 enhanced live support and My WiFi, a tool that allows you to monitor and manage your home and guest networks through My Account on Cox.com and the Cox Connect mobile app. Learn more about My WiFi. Optional Panoramic WiFi Extenders help cover every nook and cranny of your home to eliminate dead zones. The extender uses the coax wiring that's already in your home to extend your wireless signal, resulting in a powerful whole-home network with the benefits of a wired connection without having to run new Ethernet cables through the walls. Sign in to manage your Internet equipment, see the connection status and troubleshoot outages. View the complete list of approved modems for Cox High Speed Internet packages. Cox has a High Speed Internet plan to suit every need. Internet service details. See important information in the Residential Customer Service Agreement for full coverage details. 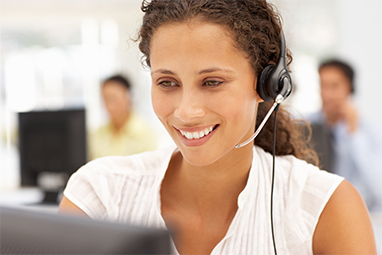 See Annual Notice information for related information and your privacy rights as a Cox customer. For all Cox Communication policies regarding our services and business practices visit www.cox.com/aboutus/policies.html. All Cox Internet plans include 1 TB (1024 GB) per month of data usage. Unlimited and 500 GB Additional Data Plans can be added for an additional monthly charge. Data usage in excess of plan may result in a $10 charge for up to 50 GB of additional data and for each additional 50 GB block, except for Unlimited Data Plan subscribers. Unused data does not roll over. See also Speeds and Data Plans Information for High Speed Internet Service in your area for details. See cox.com/datausage for complete data usage details. Prices, and/or when applicable, contracts, may differ from those presented here as a result of existing customer pricing, customer's specific service address, and/or contract related updates. Installation fees may apply. Other restrictions may apply. Internet service packages shown are not available in all areas. Cable modem required for Internet services. For best performance, use of Cox-approved cable modem is recommended. A DOCSIS 3.0 modem or higher is required to consistently receive optimal speeds for Preferred 100 and higher tiers, and is strongly recommended for all other tiers. Uninterrupted or error-free Internet service, or the speed of your service, is not guaranteed. Actual speeds vary. For Ultimate users with Microsoft operating systems: If you are using an MS operating system other than Vista/Windows 7 (e.g., Microsoft XP), your registry keys must be updated to enable maximum speed performance.